Zhu Xiao-Mei was born to middle-class parents in post WW II China, and her musical proficiency became clear at an early age. Taught to play the piano by her mother, she developed quickly into a prodigy, immersing herself in the work of classical masters like Bach. She was just ten years old when she began a rigorous course of study at the Beijing Conservatory, laying the groundwork for what was sure to be an extraordinary career. But in 1966, when Xiao-Mei was seventeen, the Cultural Revolution began, and life as she knew it changed forever. One by one, her family members were scattered, sentenced to prison or labor camps. By 1969, the art schools had closed, and Xiao-Mei was on her way to a work camp in inner Mongolia, where she would spend the next five years. Life in the camp was unbearable, thanks to horrific living conditions and intensive brainwashing campaigns. Yet through it all Xiao-Mei clung to her passion for music and her sense of humor. And when the Revolution ended, it was the piano that helped her to heal. Compelling story about music, China and love. 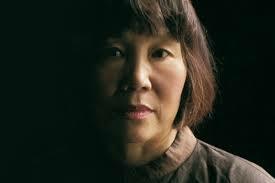 Music helped the author through terrible times in Mao's re-education camps and somehow kept her sanity in the face of protracted brain washing by the authorities. The figure of her mother is present as a fixed star that helped her steer her way amidst chaos and upheaval. More generally, the author takes us by the hand and shows how the Party saw the role of culture, the relationship of sons and daughters with their own parents, the deep mistrust that was instilled in their brain for anything that was not in Mao's red book. All of the above takes part in the first part of the book, until the author leaves China. The second part is her life in the US and France as a pianist trying to make a living. This is interesting too, but it is really another book. This is her recording of the Goldberg variations, which inspired her book more than any other piece of music. Live recording of Goldberg's variations performed in Leipzig at St Thomas's church, the final resting place of J.S. Bach. The DVD also contains a 1-hour documentary on Zhu's lifelong relationship with music and her special relationship with Bach. She sees Bach as a very Buddhist thinker. The 30 variations begin and end with the same melody, and it is not by chance. (In any case, hardly anything is by chance in Bach's music.) She thinks Bach wanted to indicate that the end is a new beginning. It is Bach's Christian faith about the afterlife, but it is even more so the essence of Buddhist philosophy. It is a similar view to that taken in the book "Goedel Escher Bach", which referred to the musician's work in similar terms twenty years earlier than this recording.